Dear President Xi - What would you tell your daughter? Guo Feixiong jailing: "I can understand him and support his dream"
Guo Feixiong is a faithful idealist. Although he has experienced a wide range of political persecution by the Chinese government including, being sentenced to four prison terms, being the target of a witch hunt, and enduring countless brutal and evil tortures from the Chinese government he still holds a peaceful and pure heart. He shows enduring strength and courage to pursue rights, equality and justice peacefully. We are proud of Guo Feixiong and all the other human rights defenders and lawyers working to the same end in China. 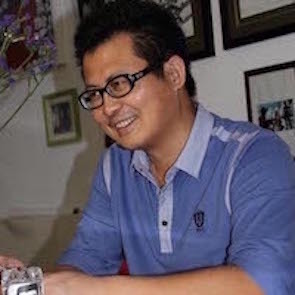 Guo Feixiong is a well known figure in China's rights defence movement and has previously spent five years in prison for his human rights activities. In 2005, the human rights defender provided legal assistance and organisational support to residents in Taishi village in Guangdong province who were seeking to remove their village chief whom they accused of corruption. As a result of his involvement in this case, he was held by the police for three months without charge, during which time he went on hunger strike to protest his treatment. When he was released in December 2005 he was subjected to regular surveillance, harassment and at least one severe beating before being detained again in September 2006. In November 2007 he was sentenced to five years in prison, back dated to his arrest the previous year, for “illegal business activity” following his publication of a book documenting a political scandal in China's north eastern Liaoning province. On his release in September 2011, Guo Feixiong said that the treatment he received while in police custody and later in prison was 'beyond people's imagination'. He was reportedly shackled to a wooden bed for 42 days and hung naked from a ceiling by his arms while police used an electric baton to electrocute him. Over the years, Guo Feixiong has undertaken five hunger strikes in support of human rights and protesting his treatment. These have lasted 3, 59, 24, 75, and 25 days respectively. On 2nd anniversary of the death of Cao Shunli, Front Line Defenders reiterates its call for those responsible to be held accountable. Chinese HRDs face intimidation, harassment, house arrest, abductions, torture and imprisonment. Arbitrary detention is widely used against HRDs, including house arrest, forced travel and detention in psychiatric hospitals.